On August 23, 2018, at the Engage Toronto Office, the Engage Toronto Research Coordinator and one of the Engage Toronto Research Nurses drew the winning ticket for the first $2000 travel draw. 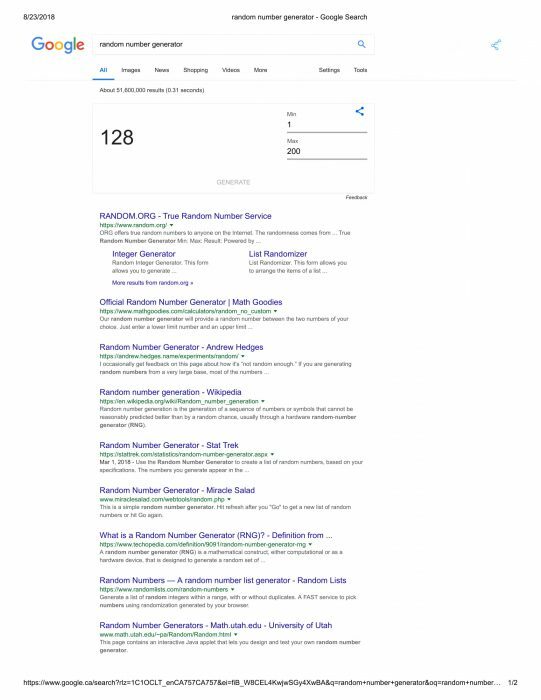 The winning ticket was ticket #128 and was drawn using Google’s random number generator (see image below). Congratulations to the winner of our first $2000 travel draw! If you want to be our next winner, keep an eye out for an Engage recruitment voucher, and be sure to redeem it if you get one!